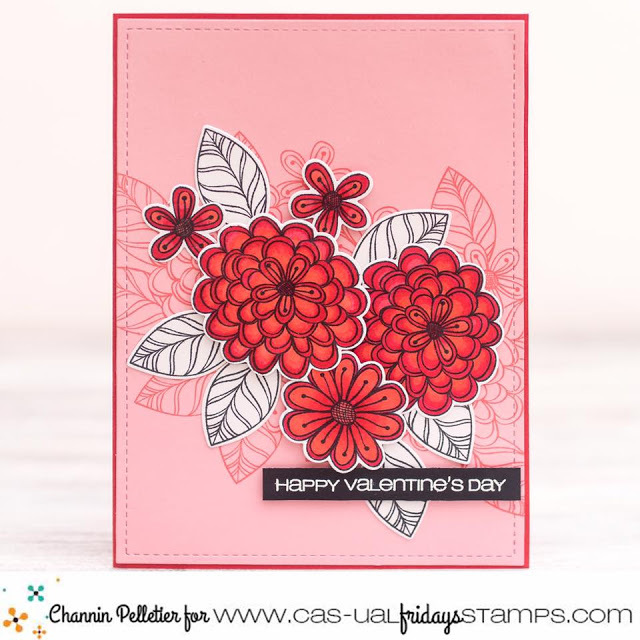 from the CAS-ual Fridays Challenge! Our theme is Pink, Red and White. Look what she came up with! 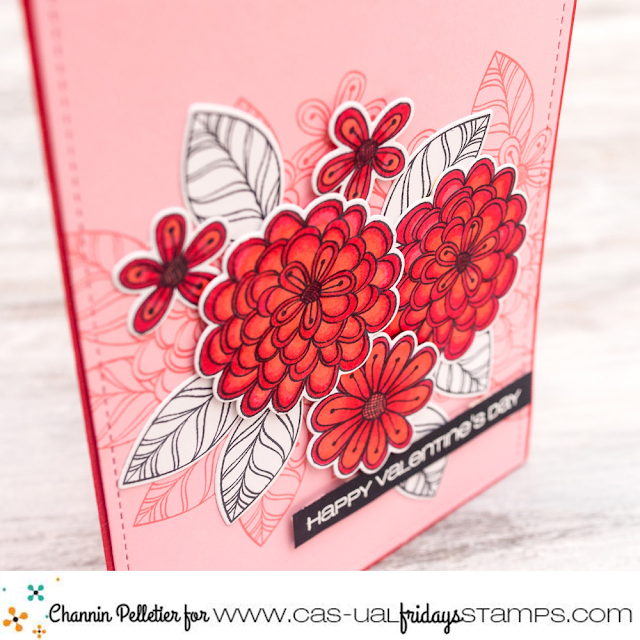 She stamped the images from Pretty Posies in red ink on pink cardstock. I LOVE the way that looks! Next she stamped the same images with black ink on white cardstock. She colored only the flowers with alcohol markers and I think the black and white leaves are perfection! and this is a card you could make all year long! I'd love for you to get inspired by these awesome colors and come play in our challenge!